The integration of the Geographic Information System (GIS) with groundwater modeling and satellite remote sensing capabilities has provided an efficient way of analyzing and monitoring groundwater behavior and its associated land conditions. A 3-dimensional finite element model (Feflow) has been used for regional groundwater flow modeling of Upper Chaj Doab in Indus Basin, Pakistan. The approach of using GIS techniques that partially fulfill the data requirements and define the parameters of existing hydrologic models was adopted. The numerical groundwater flow model is developed to configure the groundwater equipotential surface, hydraulic head gradient, and estimation of the groundwater budget of the aquifer. GIS is used for spatial database development, integration with a remote sensing, and numerical groundwater flow modeling capabilities. The thematic layers of soils, land use, hydrology, infrastructure, and climate were developed using GIS. The Arcview GIS software is used as additive tool to develop supportive data for numerical groundwater flow modeling and integration and presentation of image processing and modeling results. The groundwater flow model was calibrated to simulate future changes in piezometric heads from the period 2006 to 2020. Different scenarios were developed to study the impact of extreme climatic conditions (drought/flood) and variable groundwater abstraction on the regional groundwater system. The model results indicated a significant response in watertable due to external influential factors. The developed model provides an effective tool for evaluating better management options for monitoring future groundwater development in the study area. This article has been retracted by the Editor-in-Chief following an investigation of a complaint received against it. A careful analysis of the co-authored article titled "Composite use of numerical groundwater flow modeling and geoinformatics techniques for monitoring Indus Basin aquifer, Pakistan" by Zulfiqar Ahmad, Arshad Ashraf , Alan Fryar and Gulraiz Akhter published in Environmental Monitoring and Assessment, February 2011, Volume 173, Issue 1-4, pp 447-457 shows extensive similarities with an article published by Arshad Ashraf and Zulfiqar Ahmad in 2008 titled "Regional groundwater flow modelling of Upper Chaj Doab of Indus Basin, Pakistan using finite element model (Feflow) and geoinformatics" in Geophysical Journal International, Volume 173, pp 17-24. 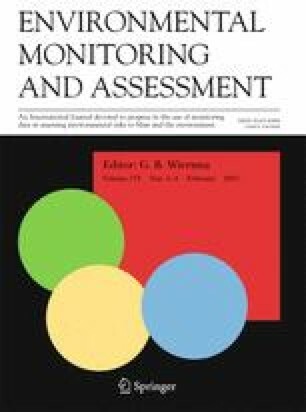 Given the duplication of content described above, the Environmental Monitoring and Assessment article in question is being retracted. An erratum to this article can be found online at http://dx.doi.org/10.1007/s10661-015-4529-z. An erratum to this article is available at http://dx.doi.org/10.1007/s10661-015-4529-z. Josef, F. (2004). Integration of GIS and groundwater modelling. Retrieved from http://www.technion.org/Media/TcsSample.doc.